Turanga Leela: People of everywhere, I have shocking news! 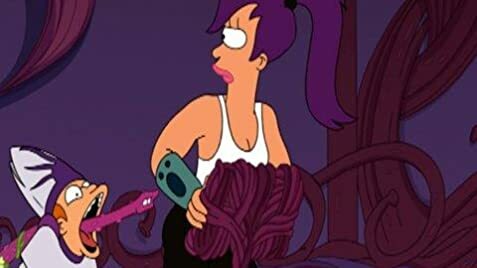 Turanga Leela: These aren't tentacles, they're gentacles! 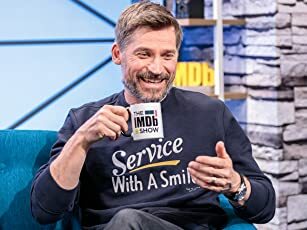 Q: Do I need to know what happens in Bender's Big Score, the Futurama movie released before this one, to follow this story? 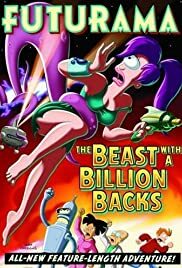 Futurama The Beast with a Billion Backs: More generic Futurama "Fun"
The Beast with a Billion Backs, the very title is an adult joke that kids won't understand which pretty much sums Futurama as a show up. It follows on from the events of Benders Big Score (2007) and see's Earth under attack from a multi-tentacled entity whose intentions are anything but PG. Not quite Japanese anime level but still pretty questionable stuff. Failing to hit the emotional heights of the previous movie it is thankfully loaded with a few more jokes. Sadly I still don't find it all that funny, it's like the Simpsons just without the charm. I'm yet to binge Futurama and still have a couple more feature films to view, but can confidently say that though I don't dislike it the adventures of the Planet Express do little for me. I was told there would be sugar syrup!